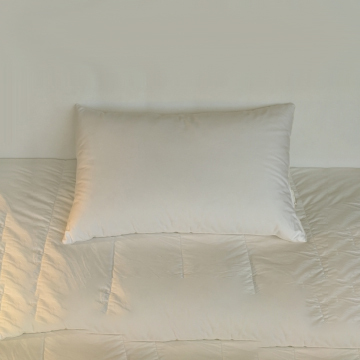 The Durasoff Hotel pillows are filled with “conjugated slick” fiber, a bit more expensive, and longer lasting fiber than regular polyester, this is also one of the most comfortable pillows to sleep on, far softer than anything offered in department stores. 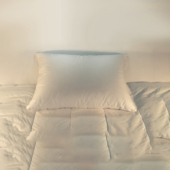 The cover is a 180 thread count, white ticking, perfect for institutional use. 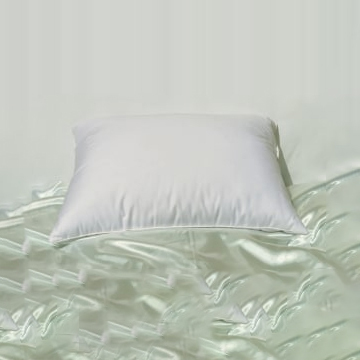 The fill is a “conjugated slick” fiber, a bit more expensive, and longer lasting fiber than regular polyester, this is also one of the most comfortable pillows to sleep on, far softer than anything offered in department stores at more than twice the price… A REAL BARGAIN!!! The cover is a 180 thread count, white ticking, perfect for institutional use. 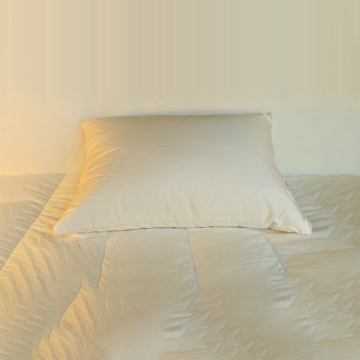 As mentioned in the home page, polyester fiber technology has come a long way in sleeping comfort and durability, with the advent of these specialty fibers (micro-denier, spiral balls, conjugated). 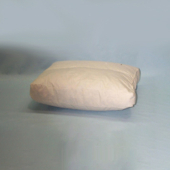 These pillows are great not just for the guest rooms, and for extra bed pillows, but very comfortable to sleep on.